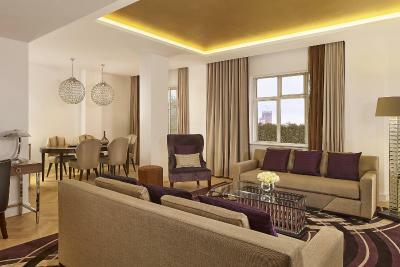 Lock in a great price for Sheraton Grand London Park Lane – rated 8.1 by recent guests! location is good but hotel reservation are too difficult to deal with. Beautiful decor. Great room. Breakfast excellent especially the homemade granola. Staff fantastic, very friendly. We were upgraded to bigger room with a huge bed. So big I couldn't find my wife. She was delighted. Brilliant location. Everything important within walking distance. This is now our first choice London hotel. Its close to every tourist place you’ll want to visit. Few minutes walk from attractions. The location was great for sightseeing. The staff was good. Great location. The bar attached Smith & Whistle has an amazing staff. Stephan and Ricardo were the best. Treated my friends and I like royalty. 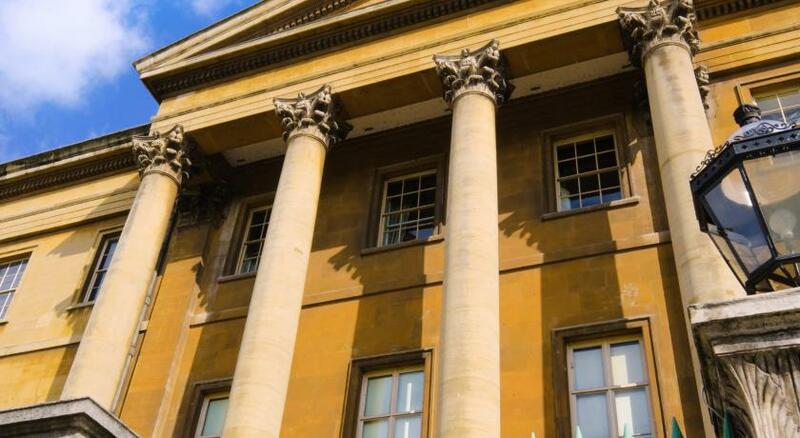 Great location near parks, Buckingham Palace, pubs, and Piccadilly. Very close to an underground station. Egg “florentine” at breakfast was perfect, and the waitress Maria in breakfast lounge was very proffessional and kind. Actyally, I did not find things to like in this hotel. If, I stay in 3 Star hotel will be much much better. 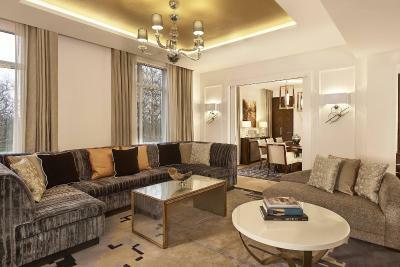 Sheraton Grand London Park Lane This rating is a reflection of how the property compares to the industry standard when it comes to price, facilities and services available. It's based on a self-evaluation by the property. Use this rating to help choose your stay! One of our top picks in London.Located in the heart of Mayfair and overlooking Green Park, Sheraton Grand London Park Lane offers a prime destination in London, featuring an impressive restaurant, a modern fitness center, private parking and free WiFi. 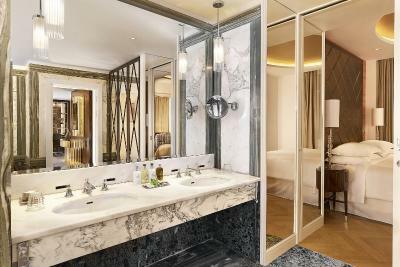 The large, elegant rooms feature an art deco design and each have an private bathroom and interactive flat-screen TV with satellite channels. Rooms also offer free toiletries, designer beds and ample work space, and some have original fireplaces and marble bathrooms. Guests can enjoy all-day Italian dining at Italian Restaurant Mercante and stop by Smith & Whistle for a thoughtful selection of honest food and expertly crafted cocktails. 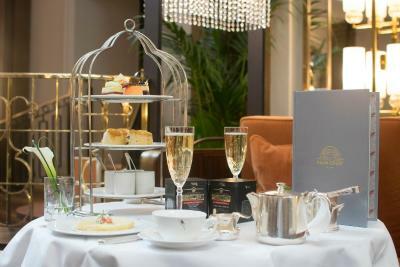 Beautiful Art Deco surroundings take guests back in time at the Palm Court, where a sumptuous English Afternoon Tea can be enjoyed. 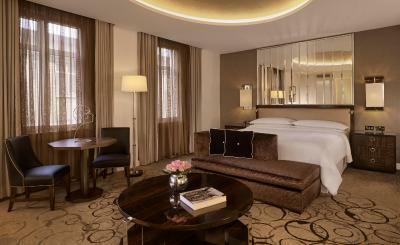 When would you like to stay at Sheraton Grand London Park Lane? Private parking is available on site (reservation is not needed) and costs GBP 50 per day. This double room features a soundproofing, executive lounge access and air conditioning. This double room features air conditioning, executive lounge access and soundproofing. 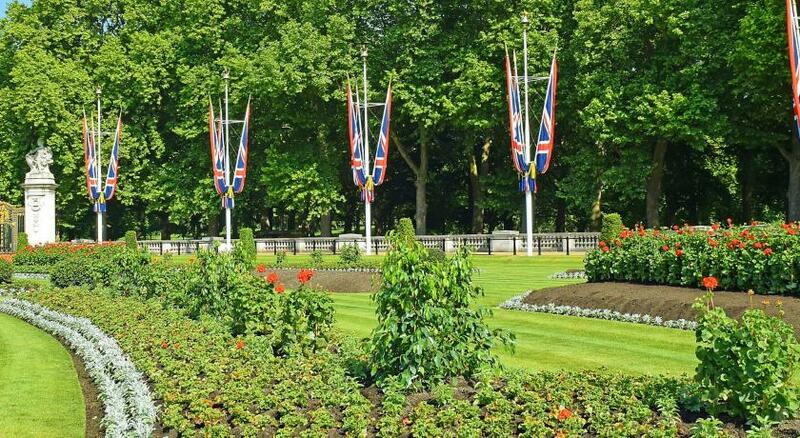 A celebrated Art Deco hotel in the heart of London Mayfair, facing Green Park and just a short walk away from Buckingham Palace, The Sheraton Park Lane Hotel is ideally located to connect with the city of London. Continuing the great tradition of hospitality on which the hotel was founded in the 1920s, we offer convenient services and comfortable facilities that will make you feel right at home. 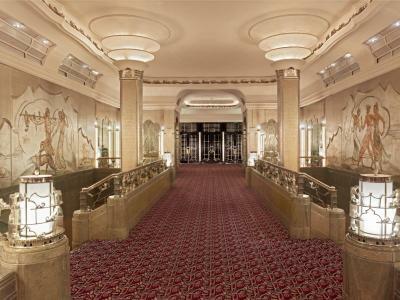 This year The Sheraton Park Lane Hotel is being reborn with a multi-million pound renovation, breathing even more 1920s glamour into the hotel. Our bedrooms are getting smarter, the Palm Court is receiving a makeover. The Smith & Whistle bar takes its name from historical figures, Detective Inspector Smith and Mr. Whistle, who would meet at the bar in the 1920s. It offers a cocktail list, British draft beer, craft beer and fine English wines. Just a short walk from fashionable Bond Street and Knightsbridge, The Park Lane Hotel is 20 minutes’ walk from London’s West End. 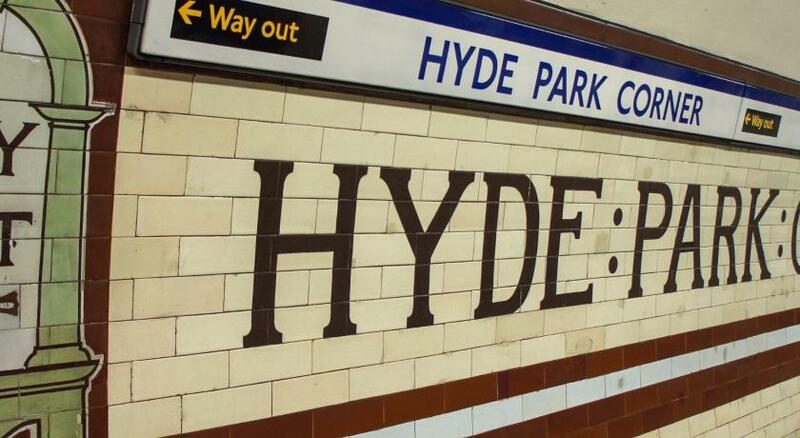 Green Park Underground Station is a 5-minute walk and Piccadilly Circus is 10 minutes away. Check-out is a leisurely 12:00, so you can relax with another cup of coffee. 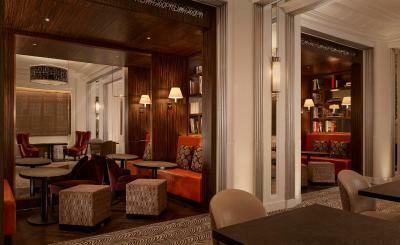 House Rules Sheraton Grand London Park Lane takes special requests – add in the next step! Any additional older children or adults are charged GBP 60 per night for extra beds. Sheraton Grand London Park Lane accepts these cards and reserves the right to temporarily hold an amount prior to arrival. The credit card used at time of booking must be valid for the entire stay. Please present the credit card used to make your reservation upon check in at the hotel. Please note that in the event that you cannot produce the same credit card the hotel reserve the right to ask for an alternative method of payment. Please note that the hotel does not accept third party bookings paid by credit card – contact the hotel directly for information regarding bank transfers. Debit and Credit cards will be authorized at check-in for the amount of your stay, plus an amount to cover incidentals. The authorization will hold the funds until check-out, at which time the amount actually incurred during the stay will be charged. Authorized amounts may take up to 30 days after departure to be released by your bank or financial institution and the hotel will not be responsible for any resulting fees or charges. Third Party Credit Card: Third party credit card forms are not accepted. Bank transfers and CHAPS payments are accepted. Staff at the check-in. Unacceptable. This time it was really disappointing. I stay(ed) there frequently. The rooms were not ready and the staff at the check-in was completely overstrained and created a complete mess. What a nightmare. It seems that the staff is very junior and not qualified. 2 of 4 rooms we have booked did not meet our expectations at all. The toilet in the room was really cold because the windows leaking cold air. I have checked them and there are gaps making it hard to be comfortable. I tried to talk to the front desk about and the gave me a heater that does not plug in the toilet because of a health and safety measure. Weirdly they did not acknowledge it was an issue that it can be fixed by fixing the window gaps and the use of double glazed windows. Saying that the building is old :| If it was my hotel I would have removed replaced the windows or replaced the rubber bands so no leakage can be found. The room was really nice. The hotel was really beautiful. Comfortable beds. The toilet was really cold because of cold air leakage from the window. Location was perfect. Requested a room with a bath but didn't get one. Great location and very good value. Chose the breakfast option and glad we did! the rooms are comfortable, quiet and clean rooms. We ate at the restaurant for supper and the Italian food was the best we've eaten in ages. I found one or two of the staff a bit stuffy but the rest were very nice. Location great, the rooms a Club room was better than I expected and very clean. Room service food was prompt and good quality. The room is small for A 5 star hotel, and the bed is not stabled. The lobby is nice and comfy. the entrance with stairs is not very convenient for large luggage but the doormen are there! Very helpful service, the concierge was really good and the club facilities really great, even if I had to fight for a while with the printer. Breakfast was bad, we sat down, started eating, they gave us the bill saying, take your time, but giving us the bill immediately when we have started eating is not really a message of take your time. No bell boy to help with the bags. Staff couldn't find my booking, and asked me to pay again, but i refused, and she used nearly 30 mins to find our booking, we were so jetlag from Asia, and we waited. The toilet door couldn't shut, called them once, nobody came to fix it, called the second time the next day, the guy said it's broken, but before the guy came, the cleaning lady cleaned the room, but she didn't care much and knowing it doesn't close, and still didn't report to management. Room view wasn’t the best. But the room itself Made up for it! Staff friendly, hotel lovely and bedroom amazing. 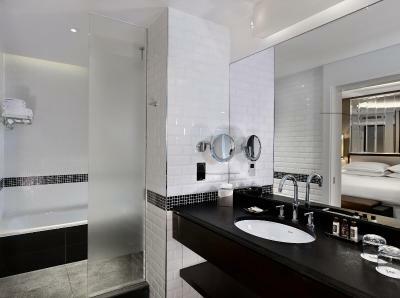 Fantastic bathroom and comfy bed! They took the deposit twice from the visa without a permission, and refused to give it back in cash even though it was their mistake which ruined my budget, the shift night manager wasn’t helpful and she didnt even try to satisfy me anyhow. Good day. Shock! In a hotel in the heart of London, staff in the information age follows the standards of the past. My wife and I, on March 8, 2019, were evicted from the room at 12:00, and forgot our documents in the safe. At 20.00 at the airport check-in counter, I found that without documents. We could not fly away ... The hotel, having access to my personal phone number / mail, having found the documents, did not report this. After returning to the hotel, we took away the forgotten documents, the administrator explained that he was operating according to the standard, and the hotel does not notify the guests of the forgotten things in the safe. This is not up to date !!! 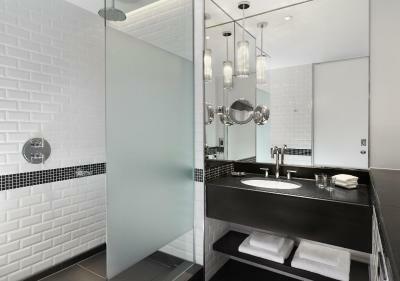 Service is a concern for the comfort of the guest, and thanks to one administrator call, we could avoid many troubles. On the night of March 8-9, I booked the next flight, waiting for him in the hotel lobby. My wife and I were upset and hungry. You can order dinner at such a late time either in the hotel room or in cash. Since I had money on the credit card , we sympathized with us and brought two glasses of water ... And moreover, at 02.30 in the night the hotel security asked to leave the lobby or reserve a room !!! There was no sense in the room, since the next flight from London was at 06.30 in the morning. We were shocked by this attitude from the hotel, called a taxi, and waited for the flight at the airport building.